Valerianella locusta is often called ‘Corn Salad’ or ‘lambs lettuce’. Originating as a forage food it eventually became an accepted and even desired cool growing leafy green food. It usually has a fairly simple slightly ‘green’ taste that varies a lot depending on how fast and in what environments it is grown. It responds well to lots of sun, water and fertilisers but is generally a cold season plant. It thrives from late summer through to late spring and tends to go to seed in late spring and early summer and then reappears in the garden as the weather calls down again. It self seeds very easily as long as the area is not disturbed too much. It is also a candidate for aquaculture, quickly grown in pipes or trays of fairly minimal soil depth. And it does taste better before it flowers when it can take on a slightly harsh almost metallic flavour profile – for want of a better way to describe it. 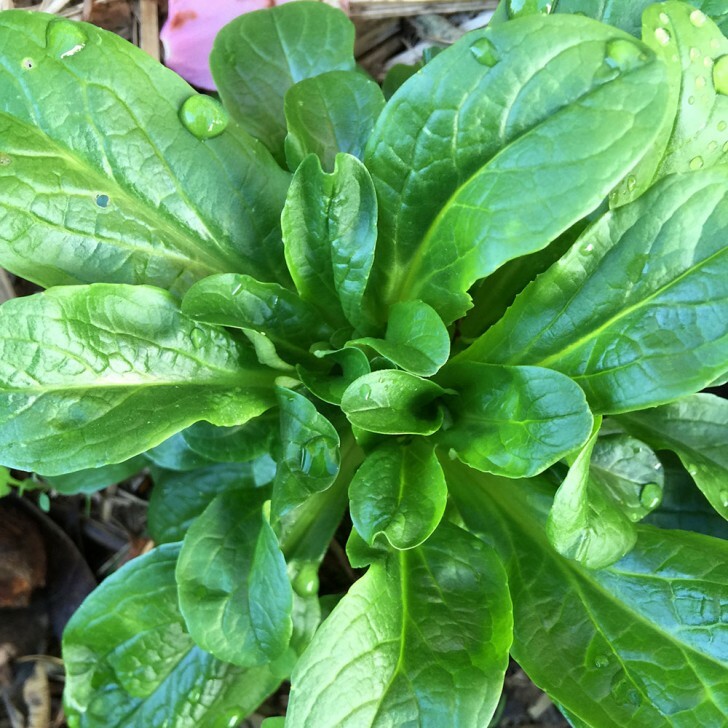 It germinates quite quickly and easily and overall is an easy to grow addition to the salad palate & plate.